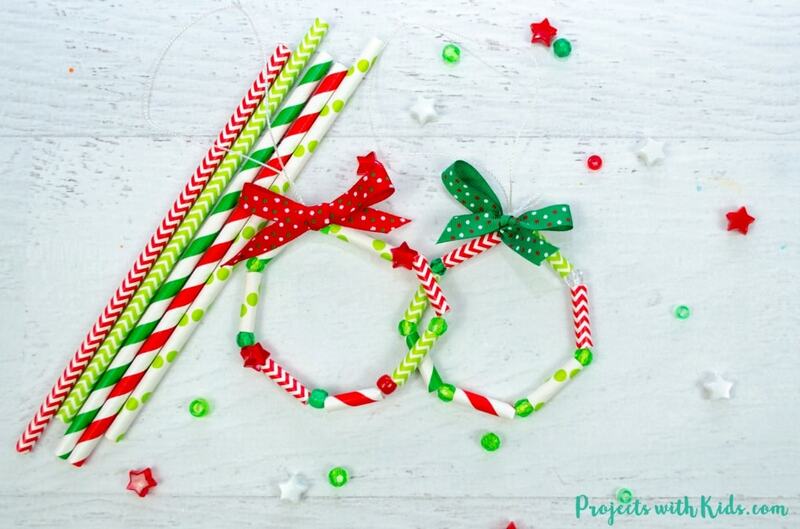 These wreath ornaments made with paper straws are so bright and cheerful, you and your kids will want to make more than one! They would make great Christmas gifts for family and friends and look absolutely adorable on a Christmas tree. 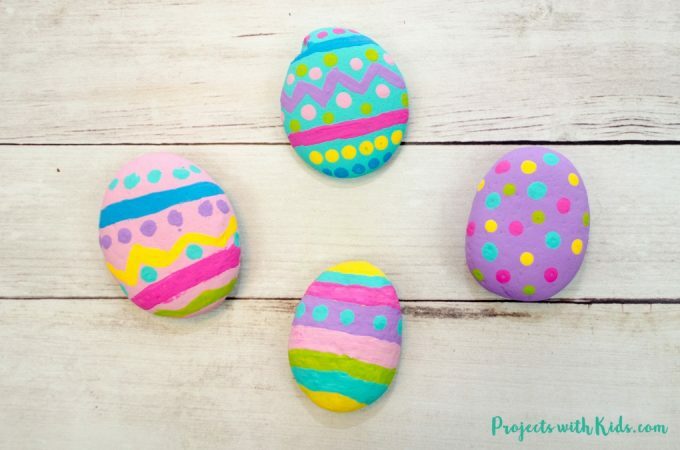 They are easy enough for younger kids to do by themselves and are great for working on fine motor skills. This project is part of a kid made Christmas ornament blog hop hosted by Shannon at The Crafty Mama in ME. Make sure to scroll to the bottom of the post for more amazing Christmas ornament ideas! Beads in red, green and white. Make sure that your beads have large enough holes to be strung onto pipe cleaners. 1. 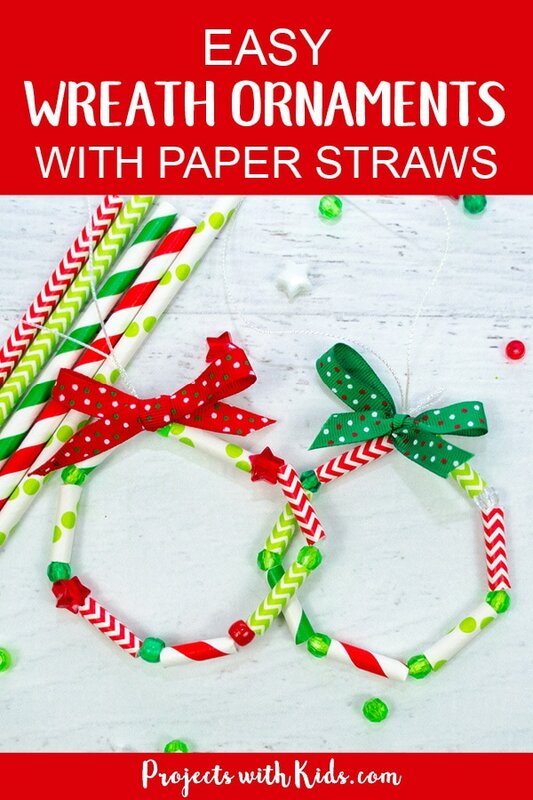 Cut your paper straws into eight pieces each, I found this to be the perfect size for stringing them onto the pipe cleaners. 2. Sort all of your straws and beads into containers and lay our your pipe cleaners. 3. 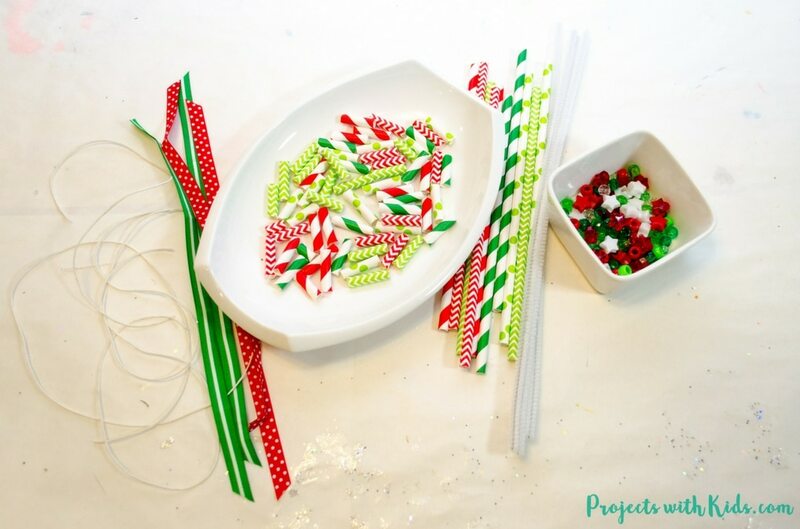 Take the pipe cleaners and bend one end, so when kids are stringing their beads and straws, they won’t fall off. 4. 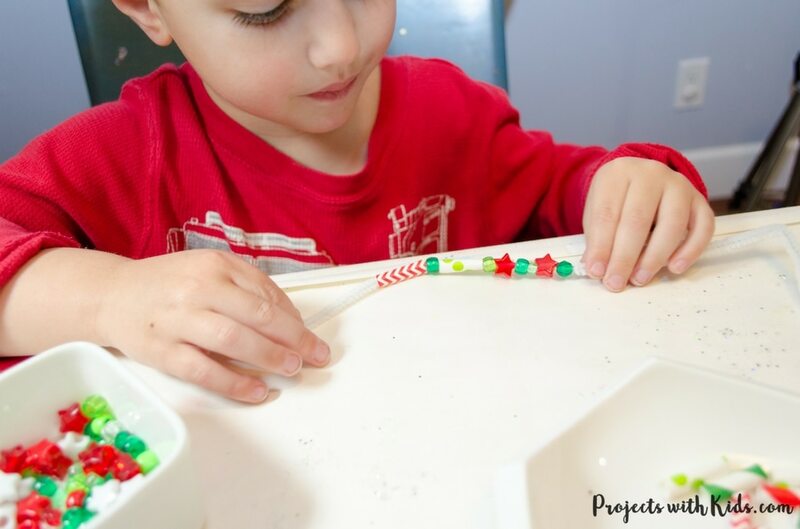 Let the kids string beads and straws onto their pipe cleaners, making sure there is enough room at the top to twist the pipe cleaners into a circle. If they put too many beads and straws onto their pipe cleaner, it’s easy enough to just take a couple off. 5. 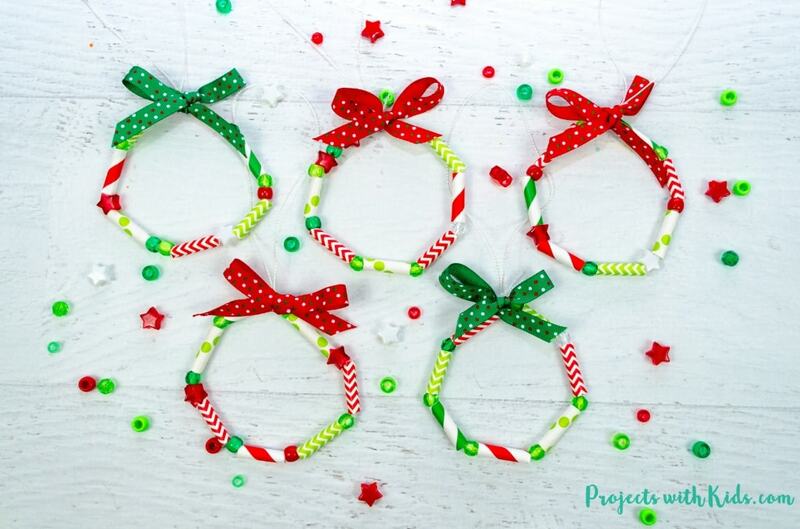 When your kids are finished, take the pipe cleaners and twist them into a circle. My 7-year-old did this step on her own, my 4-year-old needed some help. 6. Take your string and tie it in a circle and then loop it onto your wreath. Make sure you cut the string long enough to hang onto a Christmas tree. 7. Take some of your ribbon and tie colorful bows onto the top of your wreath ornaments where you looped on your string. 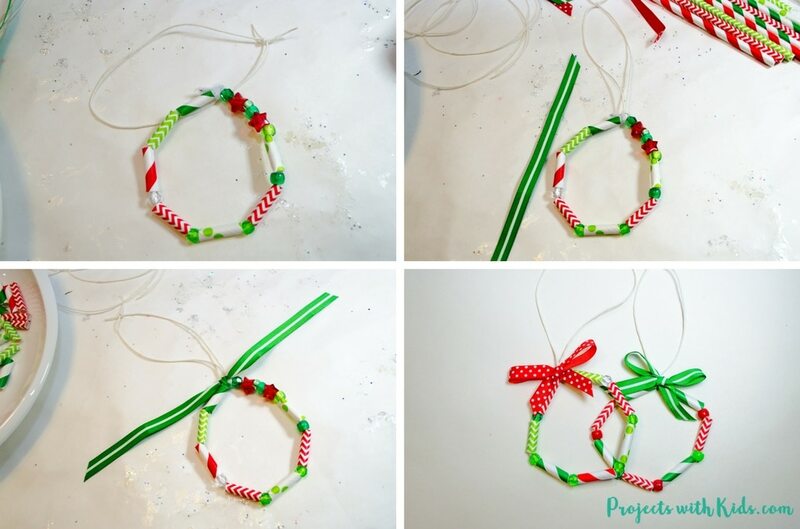 These wreath ornaments are super simple and kids will have fun making them! We love using paper straws in our craft projects, this sparkly gold Christmas garland is so beautiful you will not believe that it’s made out of paper straws! 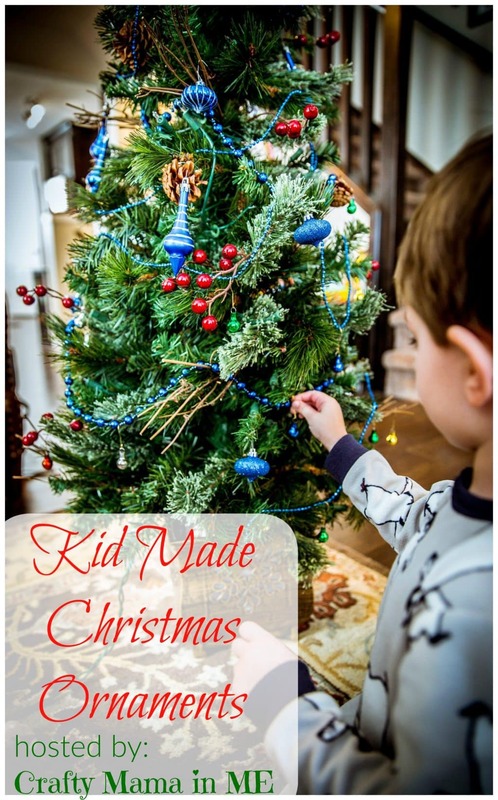 Don’t forget to check out all of the other amazing kid-made Christmas ornament ideas! 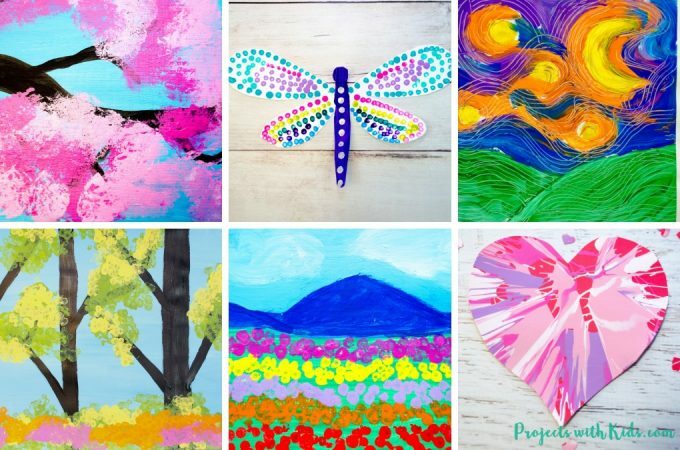 If you enjoyed this project, I’d be very grateful if you would share it with your friends on Facebook or Pinterest. If you have any questions or comments, please leave me a message below. I would love to hear from you! 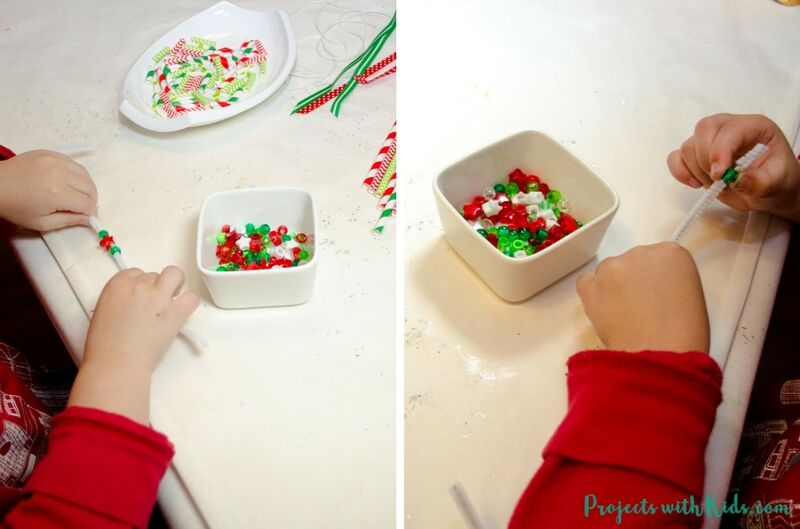 Be sure to follow my Christmas arts & crafts for kids Pinterest board for more awesome project ideas! Nice Christmas tree! I love this ornament idea for kiddos. Thanks for sharing. 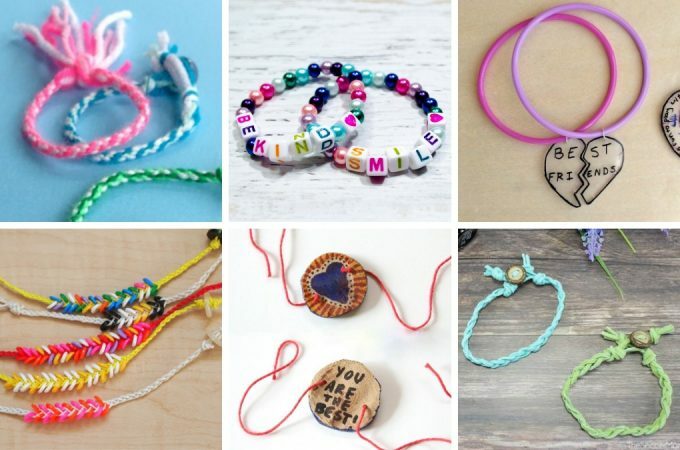 This is such a cute project. I love something that all three of my boys will be able to do, and also helps with fine motor skills. Can’t wait to make these with them for the tree. Thanks Shann! Yes, it was a great fine motor activity for my son. These wreaths are very cute. I like that they are something that every age can enjoy making. So cute! We don’t have our tree up yet and this looks like a great way to decorate it! The kids will have so much fun! Thanks for the idea! Such a great idea for the season. You could even tuck this one and others away for a rainy/snowy day too. I love having handmade anything. Bonus when my kids make it! Yes, I agree, it would make a great rainy/snowy day activity. 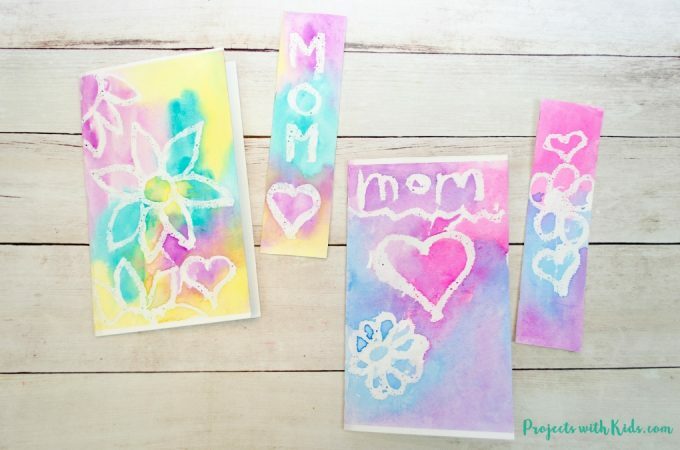 What a fun and easy holiday craft for the kids. The wreaths look so pretty on the tree!